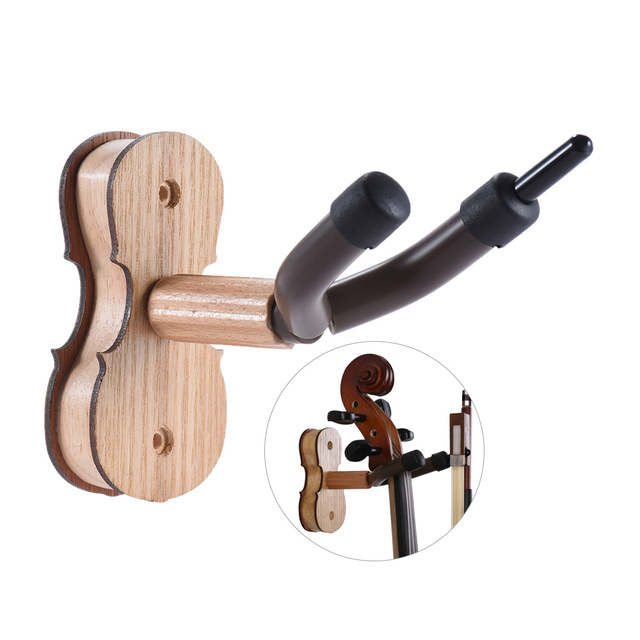 The violin wall hanger made of hardwood, sturdy construction secures your violin steadily. Specially designed with bow holder and soft padding for better use, unique violin shape, looks lovely and stylish, a must-have accessory for violin players, suitable for both home and studio use. The violin wall hanger with unique violin shape tailored for violin, universal for other string instruments with available size. Solid wood base mount with natural wood grain, compact and sturdy construction secures your violin steadily. Specially designed with bow holder for convenient use. Soft silicone padding for better protecting the instrument against scratches. Mounting screws and drywall anchors are included, easy to assemble and install.